Can I create the groups/teams that are inside my account? 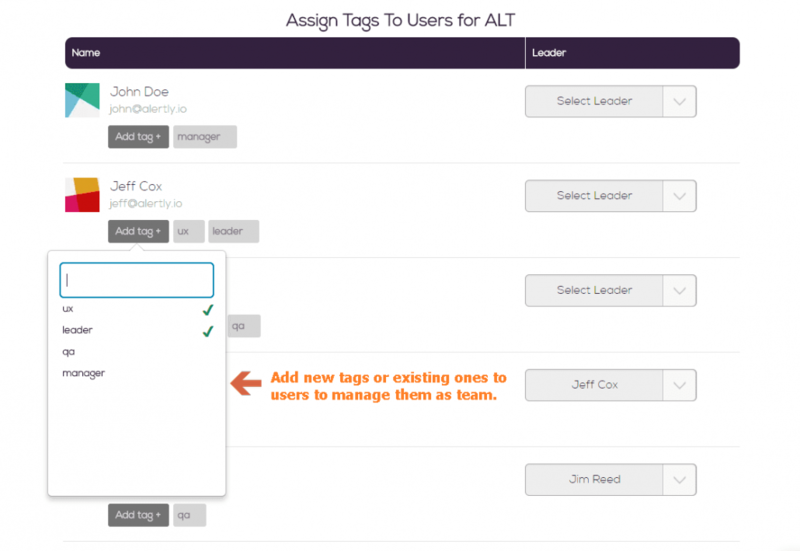 Once you select the project, you can manage the groups/teams by assigning various tags to your teammates. Also, you can select the reporting head of each user if he/she is reporting to someone. You can see this screen very next after project selection screen. You can also manage groups/teams later on from admin panel by visiting Admin Panel ⇨ Project ⇨ User Management Tab. https://alertly.io/wp-content/uploads/2017/11/alertly-purple-beta-logo.png 0 0 Alertly https://alertly.io/wp-content/uploads/2017/11/alertly-purple-beta-logo.png Alertly2017-10-17 05:43:342017-11-14 10:40:59Can I create the groups/teams that are inside my account? How JIRA-Slack users are mapped? How many projects or accounts I can add?